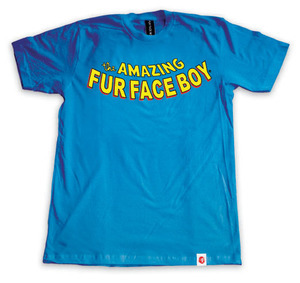 Today I got my Amazing and Incredible Fur Face Boy tees in the mail, and ripped that package open to check em out. Ahhh they look dope fo sho! 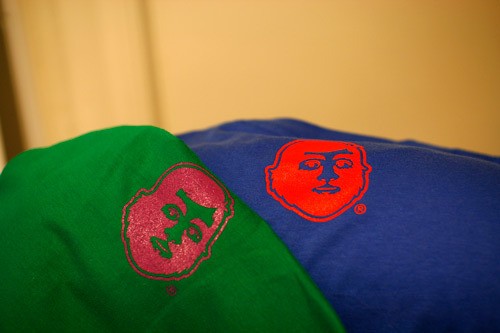 The print job is great (colors are vibrant and clear print), and so is the bottom tag on the tees. 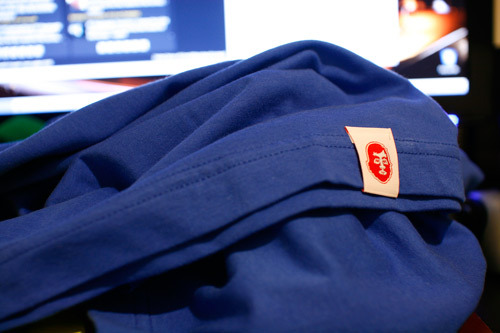 The best lil touch is that inspected by sticker inside the shirts... too fancy, top hat fancy at that! 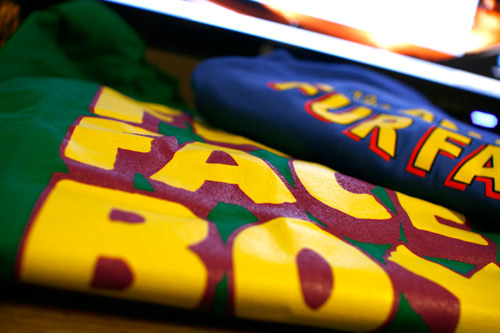 Now if only they did kids tees...hmmmmm. 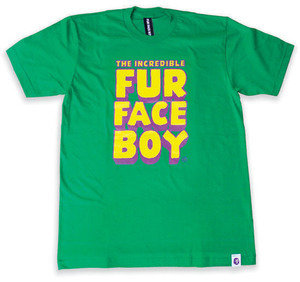 Fur Face Boy... you got WGM on your side!